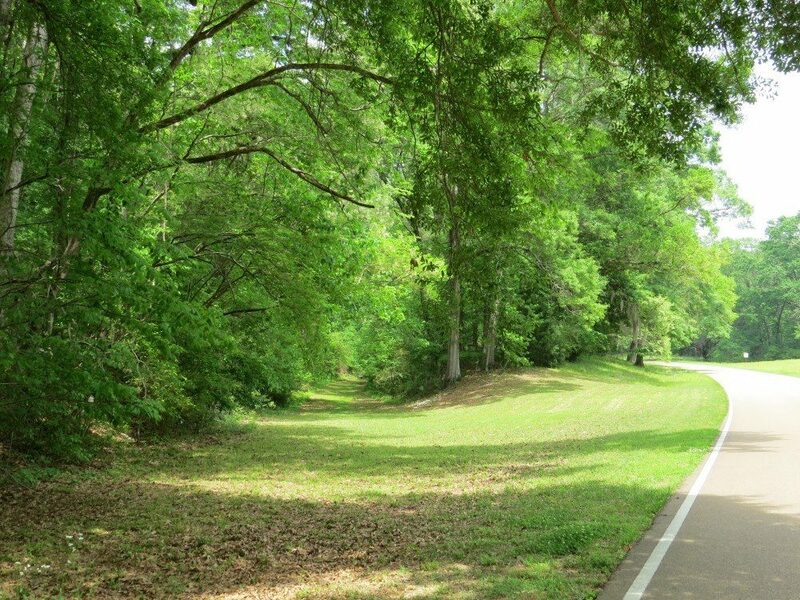 The Natchez Trace Parkway begins in Natchez, Mississippi and continues 444 miles through 312 miles of Mississippi, a small corner of Alabama and then into Tennessee to end in Nashville. 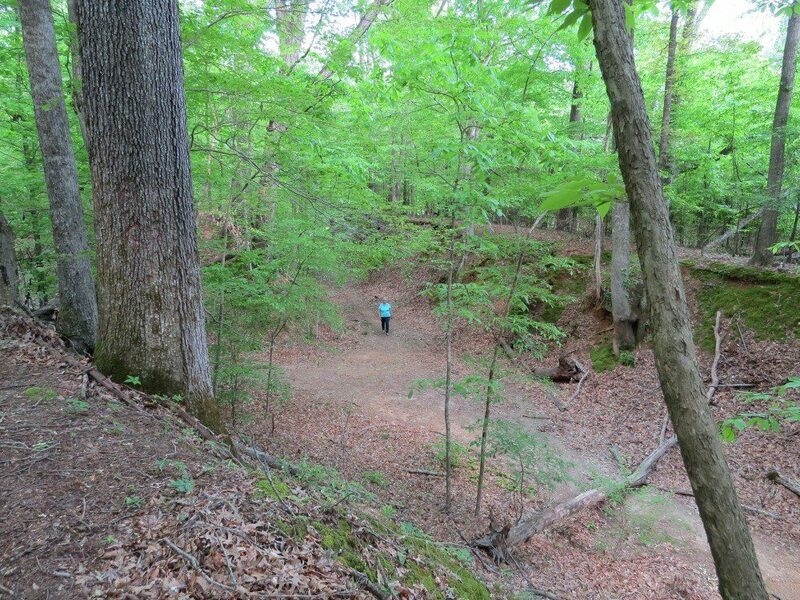 It is maintained by the National Park Service and guides visitors to follow a trail traveled on foot by “farmers and boatmen from the Ohio River regions of Pennsylvania, Ohio, and Kentucky floating supplies down to ports in Natchez and New Orleans at the beginning of the 1800s.” Along the way there is a host of opportunities to explore the varied topography and get a grasp of an earlier history of our great country. And you’ll come away from the experience with a renewed gratitude for the many who lived not only to provide for themselves and their own families, but who were willing to fight for a future generation to have the freedom to labor and learn and live. 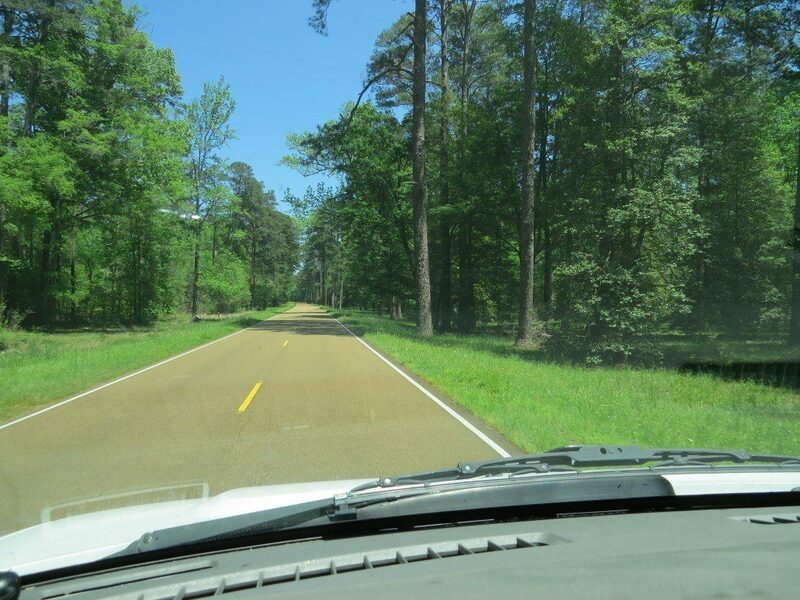 The first thing you notice after you get on to the Parkway, is the definite decrease in traffic. Commercial traffic is prohibited, and the speed limit is strictly enforced at a maximum of 50 mph. That’s plenty fast to get you where you’re going, and still have opportunity to enjoy the flora and fauna of the Parkway. 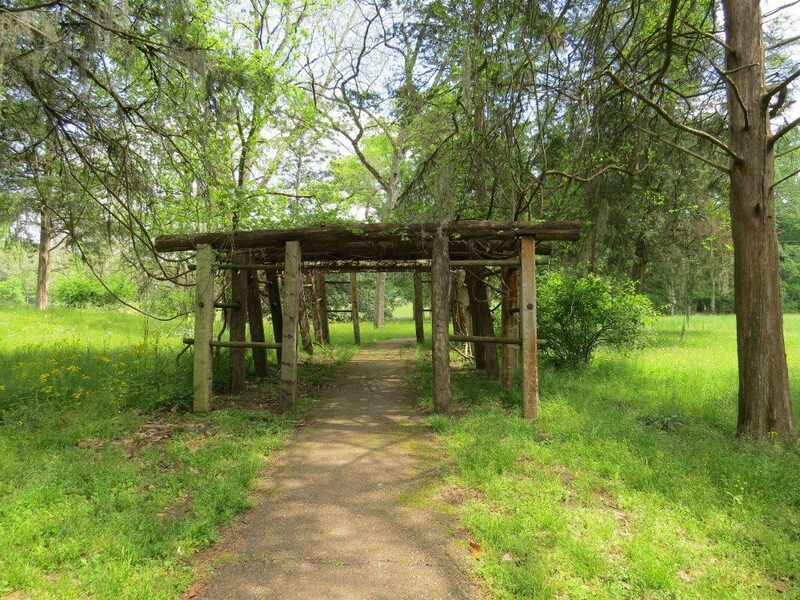 And when you need to bed down for the night, you can either exit the Trace to a neighboring town for a motel or campground, or you can take advantage of three campgrounds with picnic tables and restrooms along the Trace that are entirely free, however they are without hookups for travel trailers. 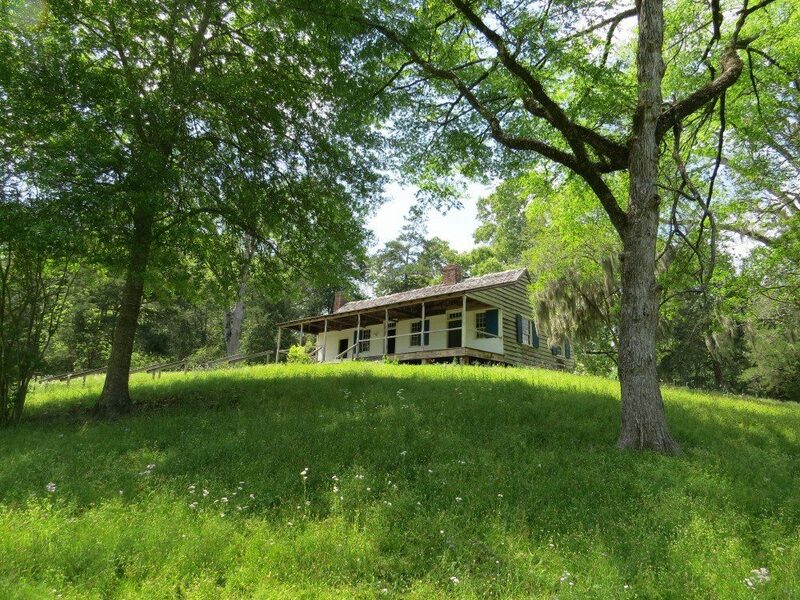 Mount Locust Inn to aid travelers: one of many inns that used to dot the Trace. 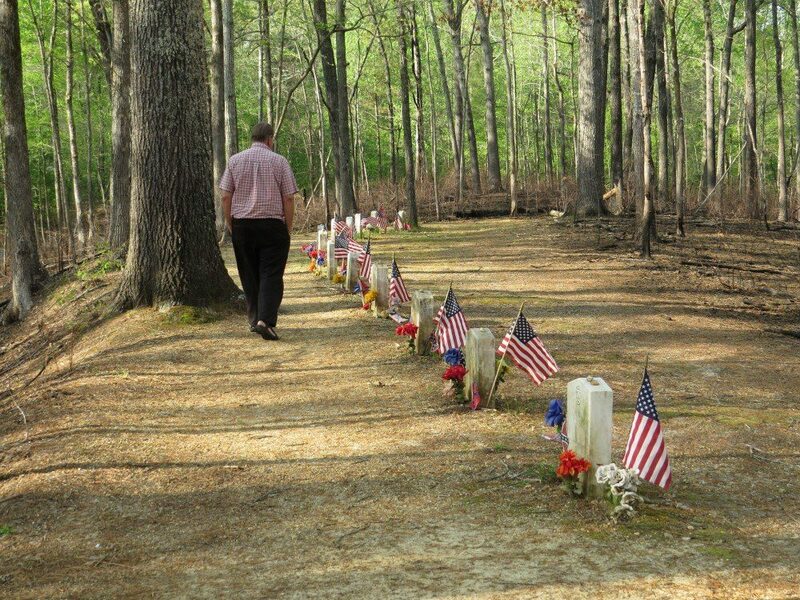 13 graves of unknown Confederate soldiers set so travelers along the trace can see. 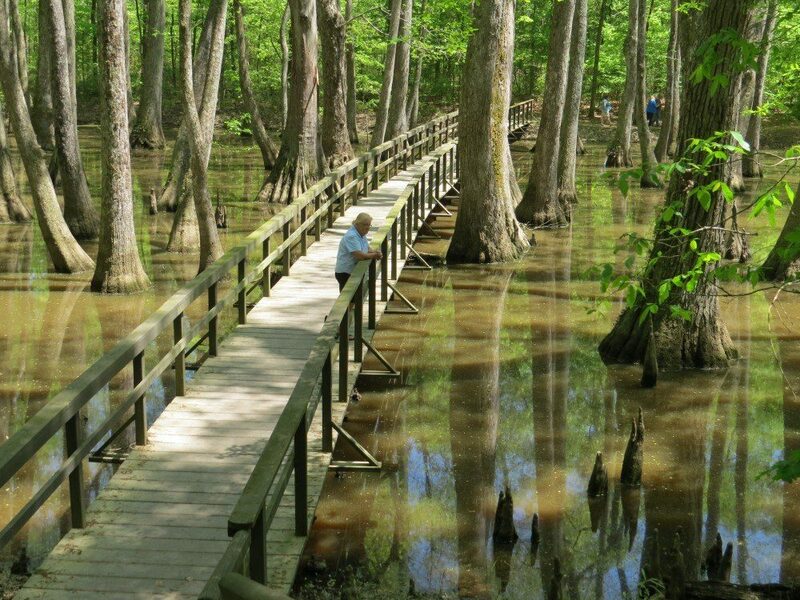 Bonnie surveys the Cypress knees in the Cypress Swamp. 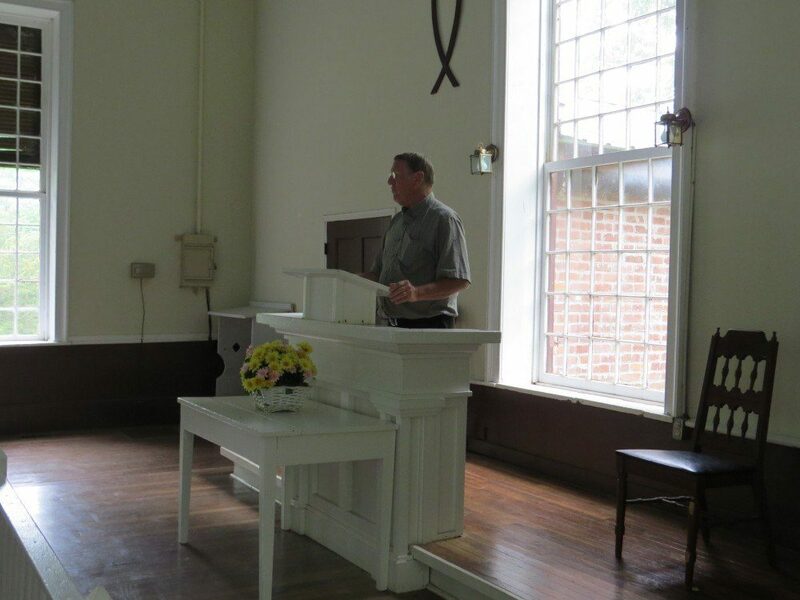 Art stands behind a church pulpit in the ghost town of Rocky Springs. The church is about all that remains of any buildings. 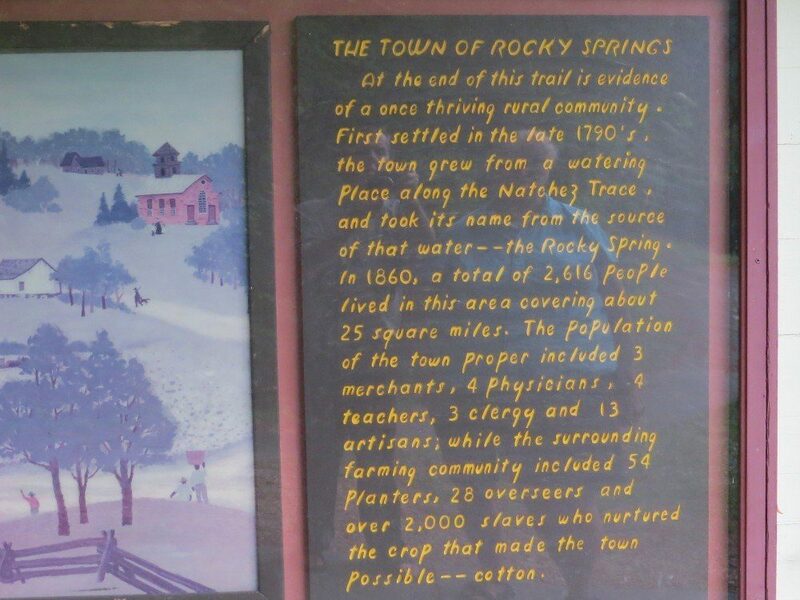 Notice the population figures of the once thriving town of Rocky Springs: in 1860 it was 2,616 and now it’s 0. 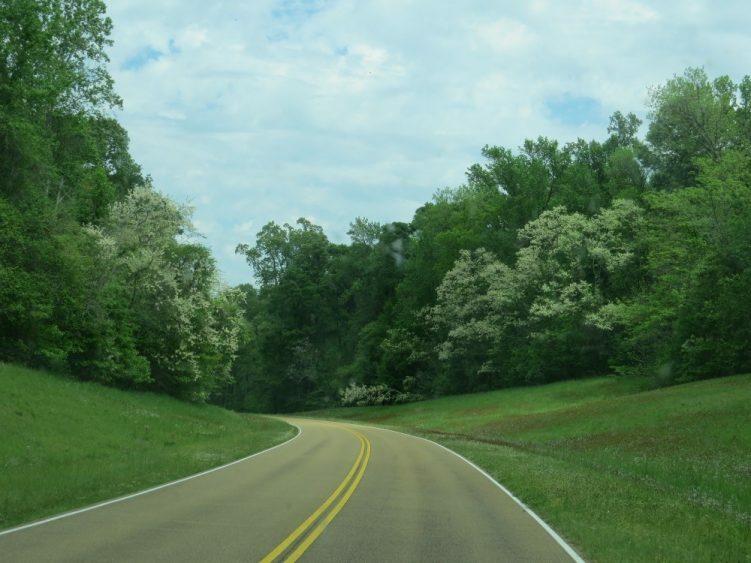 The Natchez Trace Parkway has been “designated as a National Scenic Byway and All-American Road. 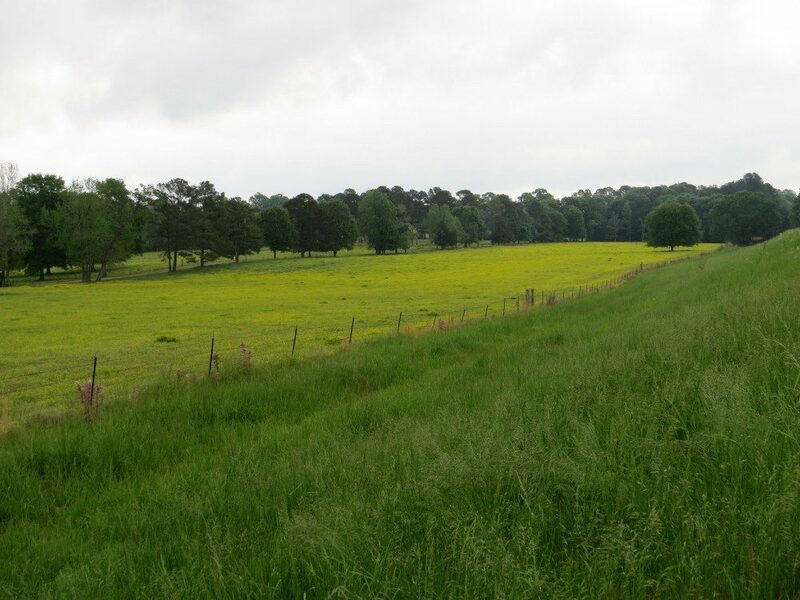 It encourages present day travelers to experience history and scenic landscapes at a leisurely pace.” I encourage you to explore this part of our great country and return from your vacation refreshed and renewed instead of ragged and worn.